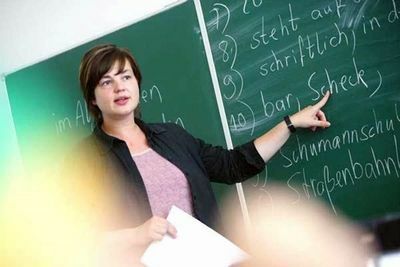 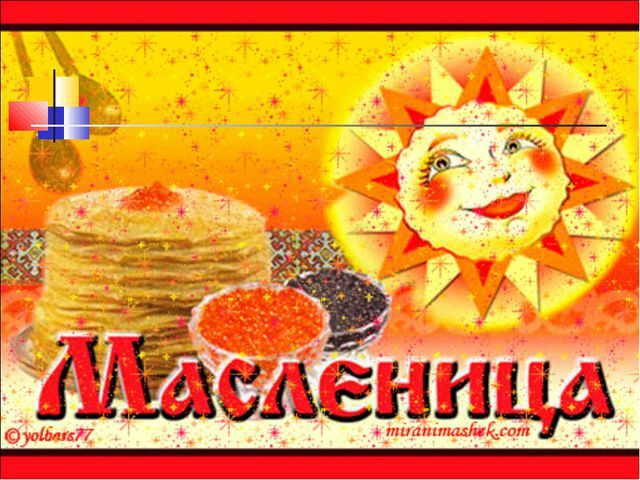 Презентация на английском языке по теме "Масленица"
Инфоурок › Иностранные языки ›Презентации›Презентация на английском языке по теме "Масленица"
Shrovetide People in Russia have their own special traditions. 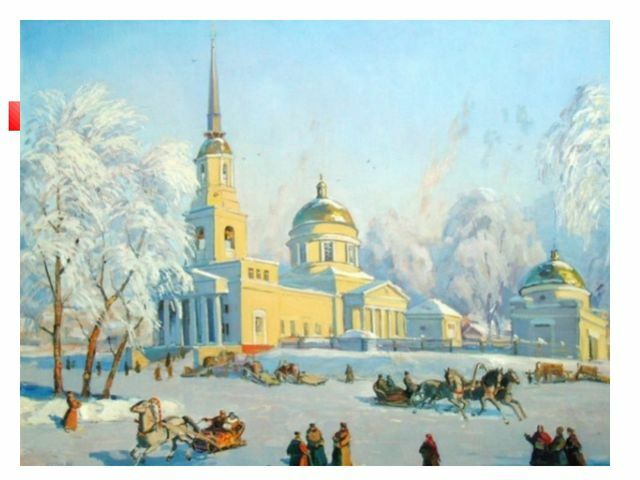 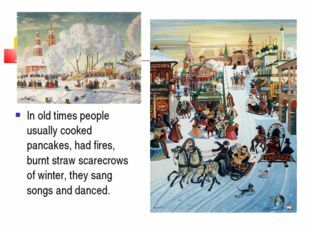 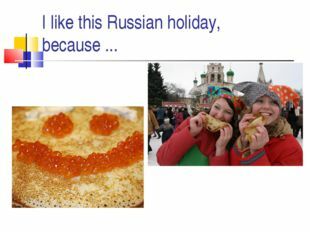 One of them is Maslenitsa – the holiday, which lasts for a week, to say goodbye to winter. People celebrate it at the end of February or at the beginning of March. During this holiday they celebrate the end of winter and the beginning of spring. In old times people usually cooked pancakes, had fires, burnt straw scarecrows of winter, they sang songs and danced. 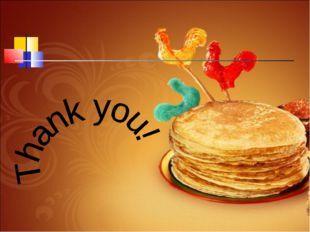 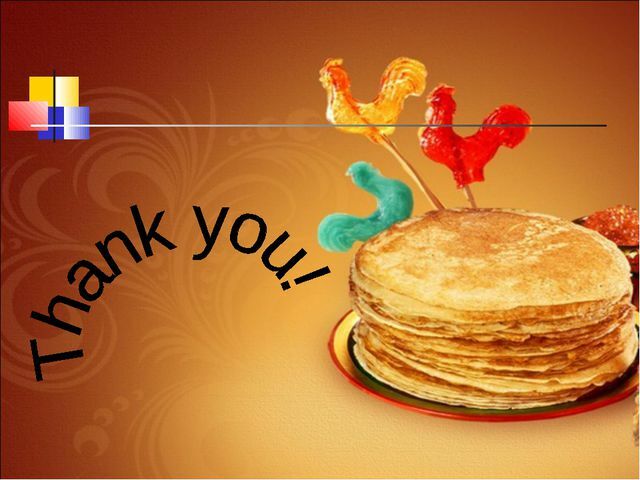 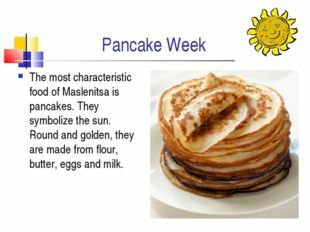 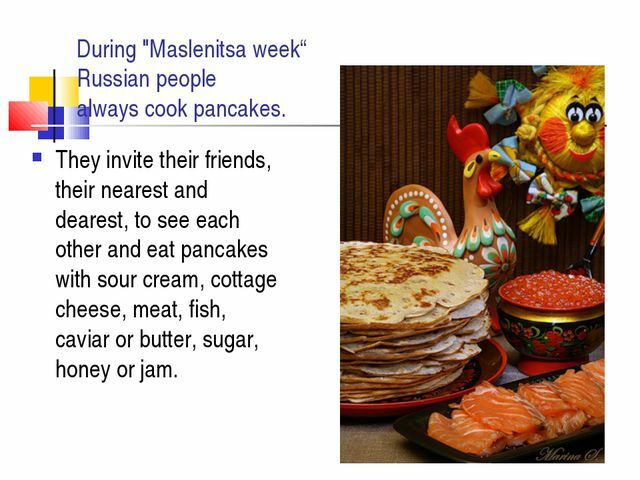 Pancake Week The most characteristic food of Maslenitsa is pancakes. They symbolize the sun. Round and golden, they are made from flour, butter, eggs and milk. During "Maslenitsa week“ Russian people always cook pancakes. 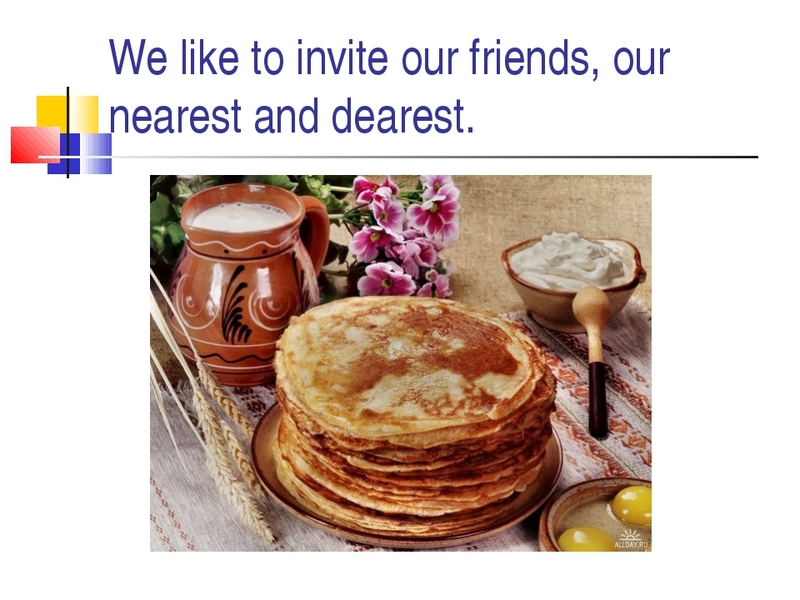 They invite their friends, their nearest and dearest, to see each other and eat pancakes with sour cream, cottage cheese, meat, fish, caviar or butter, sugar, honey or jam. 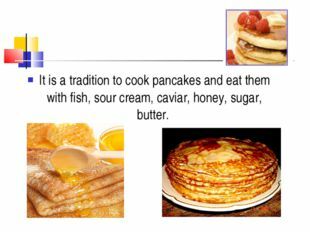 It is a tradition to cook pancakes and eat them with fish, sour cream, caviar, honey, sugar, butter. We like to invite our friends, our nearest and dearest. 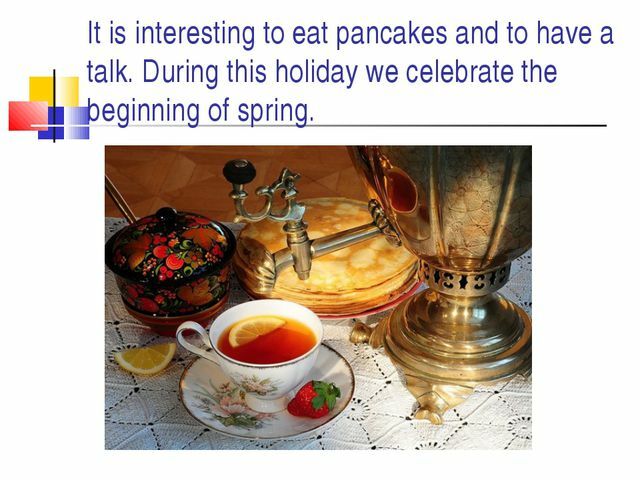 It is interesting to eat pancakes and to have a talk. 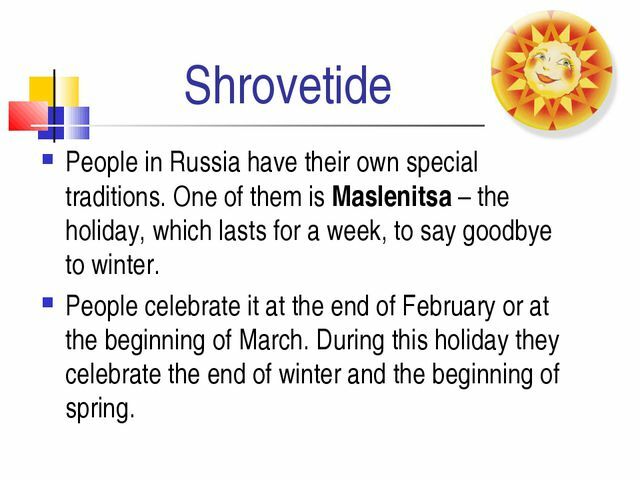 During this holiday we celebrate the beginning of spring. This holiday is usually celebrated outdoors. 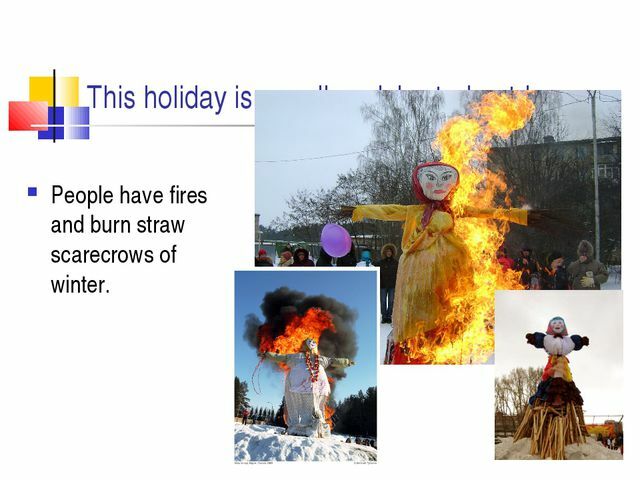 People have fires and burn straw scarecrows of winter. This holiday is usually celebrated outdoors. 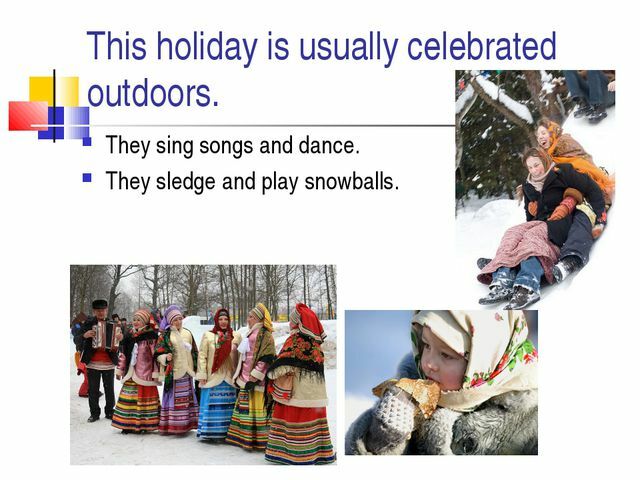 They sing songs and dance. They sledge and play snowballs. 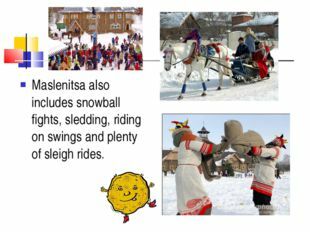 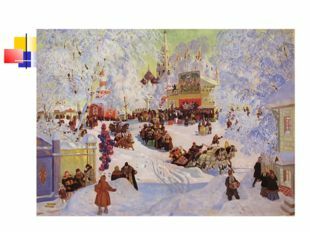 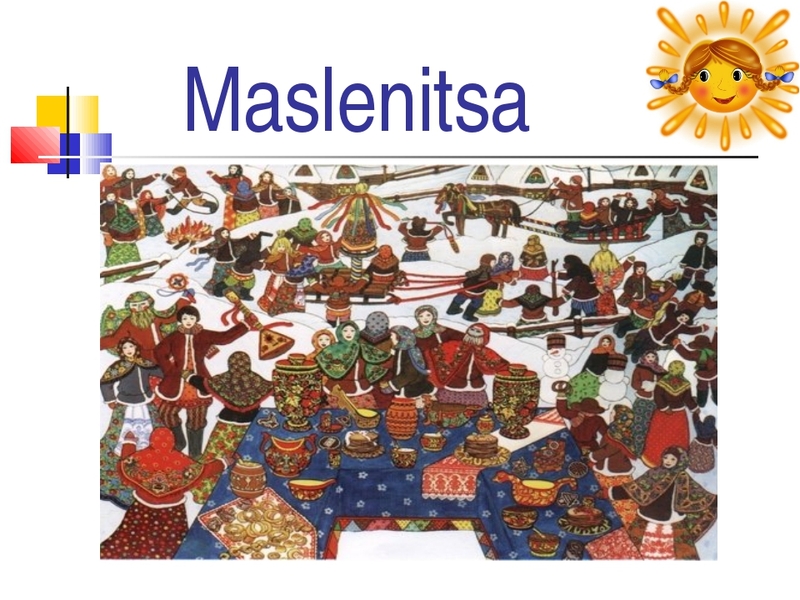 Maslenitsa also includes snowball fights, sledding, riding on swings and plenty of sleigh rides. 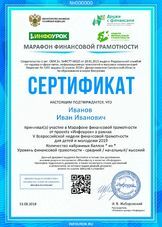 Урок в 5 классе на тему "Hobbies"
Презентация по английскому языку на тему "Hobbies" 5 класс, УМК "Rainbow English 5"
Сабақ жоспары "Қазақстандағы жануарлар әлемі"